Filming for the major Robin Hood remake, featuring Taron Egerton, Jamie Foxx and Tim Minchin, and produced by Leonardo DiCaprio has started on the 20th of February and will last until the 6th of March. Dubrovnik's historic centre has transformed into sixteenth-century Nottinghamshire. Dubrovnik is without a doubt becoming one of the largest open-air studio in the world. 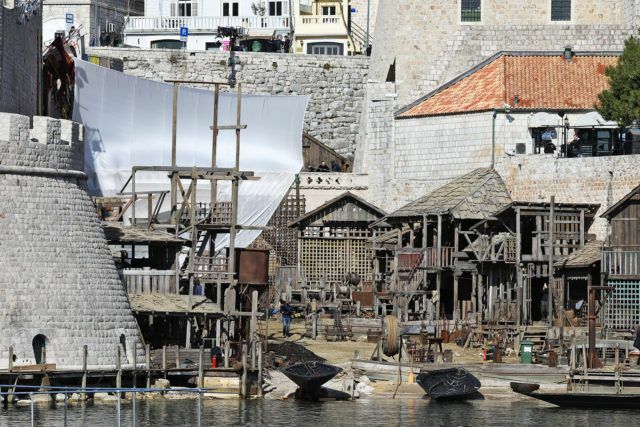 The benefits of such project as “Robin Hood: Origins” are amazing for Dubrovnik, since the movie has provided a budget of tens of millions of Dollars just for marketing, and their annual promotion of Dubrovnik is estimated at less than 1 Million of Dollars. The entire outdoor shooting of the movie will be finished in Croatia so the stars of the film will spend most of their time in Dubrovnik, as well as a good part of the team that has more than 1,000 people. The studio part of the movie will be shot at studio in Budapest. The main street through the centre of Dubrovnik (Stradun), the old harbour, St. Dominika Street, Pile Park, Pile gate, Kneza Hrvaša Street plus a few other locations will be used during the filming and both day time and night time filming is scheduled. Oscar award winner Jamie Foxx appeared on the set in Dubrovnik for the first time as Little John in what was a day of night filming. The second day of the shooting the origins in Dubrovnik was concentrated around the old harbour and various rafts were floated into the Adriatic for cameras, lighting and an arsenal of high-tech explosive devices. Although this scene was filmed on the shores of the Adriatic in the final version of the movie, which will be released on the 23rd of March 2018, the sea will “act” as a river, or rather moat, around the castle in Nottingham. This will be the largest film production in Croatian history under the Lionsgate Film production and one thing is certain – the “Robin Hood: Origins” film will have a knock-on effect on the city’s tourism industry.